Stanley R. Nadel is President and a Principal at Standard Pension Services, LLC. 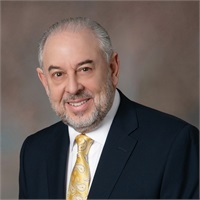 He began his career in 1975 and brings deep knowledge, expertise, and insight to his clients and colleagues alike. After graduating from Hofstra University with his Bachelor of Business Administration (BBA), Stan launched his financial services career at a major New York City bank in the employee benefit and trust department. During this time, he realized his passion for retirement plan design and began working at Standard Pension Services. Today, Stan specializes in retirement planning and administration, business planning, and personal estate planning. He constructs customized strategies that coordinate business and personal benefits for planning. His extensive knowledge and professional demeanor combined with his helpful, caring, and personal approach, deliver an exceptional customer experience. This approach has produced long term client and professional relationships. Stan and his wife have been married since 1980 and live on the North Shore of Long Island where they raised their two children. In his free time, Stan enjoys traveling and music.